Chad VanGaalen isn't one to stay still. Even when he seems quiet (and there's no word about any upcoming releases), it's pretty safe to assume that he's probably working on something. Is he building another new instrument? Animating a sci-fi film or a music video? Tirelessly writing a wild new record? Who knows! On his sixth album, Light Information, it's easy to see that Chad VanGaalen has been hard at work since 2014's weird and wonderful Shrink Dust. The album opens with 'Mind Hijacker's Curse,' one of VanGaalen's poppiest offerings to date. It's catchy, hypnotizing, and, as expected, a little freaky. "Your mind was leaking out the door / You're so scared to be adored / But more scared to be alone," he sings. These rapid shifts, from the dark, often jarring imagery to deep, meaningful musings on themes like isolation, alienation, and paranoia, are just one of the traits that make VanGaalen's music truly unique. He makes it seem easy like the flip of a switch. If only the rest of us could be as talented, right? A quick three tracks in, and 'Host Body' recalls CVG classics like 'Poisonous Heads' from 2008's Soft Airplane and 'Monster,' from 2014's aforementioned Shrink Dust, respectively. "I'll be the host body, yes, for the parasitic demons," he sings. "They can eat me from the inside out / I already hear them chewing." It's no secret that VanGaalen thrives in the land of the odd and otherworldly. Grotesque imagery, body horror, and layers upon layers of dissonant sounds abound on Light Information. Does it sound like it could be overwhelming? While VanGaalen's musical and lyrical stylings make take a bit of getting used to for the uninitiated, once he's in your head, it's hard to get rid of him. You probably won't want to, either. The all-too-brief intro to 'Mystery Elementals' is hauntingly beautiful, and when VanGaalen croons, "Time bends like light through the window pane / Calling your name," it's especially chill-inducing. In no time at all, the song sheds its skin, transforming into something else entirely. Like much of his work, it undergoes an entire metamorphosis in under 3 minutes. The stoner-focused 'Faces Lit' and 'Pine and Clover' are jangly, catchy highlights - sure to have hips swaying and heads bobbing. In what is perhaps the most directly straightforward and autobiographical track on the album, 'Broken Bell,' VanGaalen paints a portrait of his dad. "I should really visit him before he is dead," he sings. "We are getting old / Our cells just won't divide like they're told." It's a sharp reminder of life's fleeting nature which glides by on a hodgepodge of sound. Upbeat album closer, 'Static Shape' casts the dismal themes aside, closing the album out on a decidedly more positive note. VanGaalen's daughters, Ezzy and Pip contribute vocals on this sunny, hopeful track. 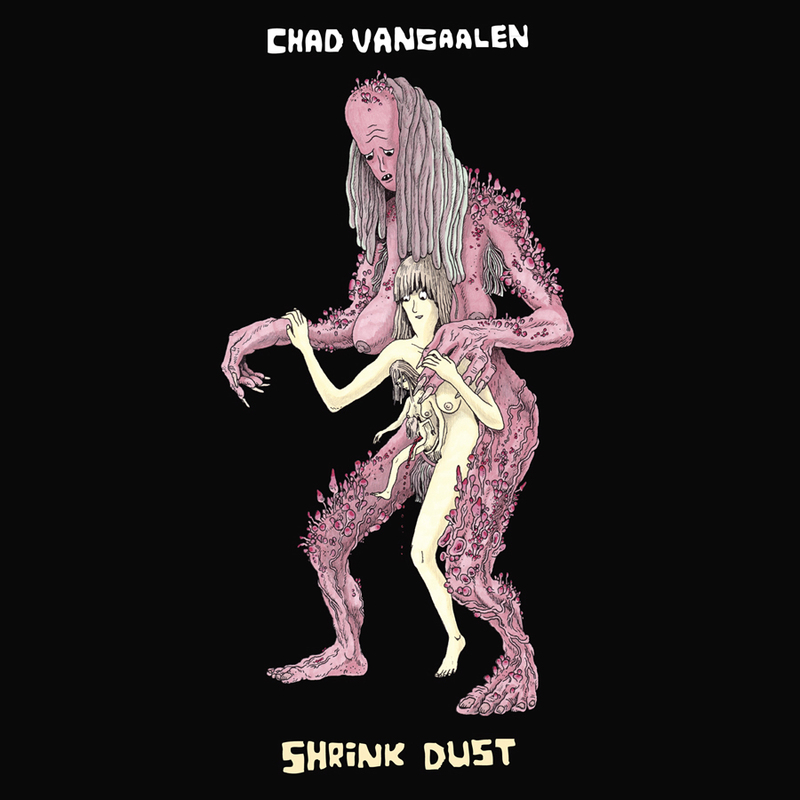 What makes Light Information so endlessly imaginative, like every album Chad VanGaalen writes and produces, are the pictures his lyrics paint. He conjures up images of the fantastic, beautiful, and weird worlds he inhabits, and shares them with listeners by way of his wonderful and strange songs. Sure, you may not have been there when he wrote them, but you can feel like you are and be transported to them when listening to Light Information.